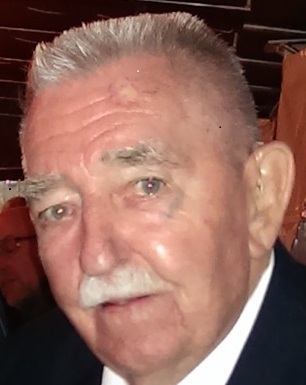 Obituary for Robert Zingler | Shore Point Funeral Home and Cremation Services, Inc.
Robert (Bob) Zingler passed away peacefully at home on April 5th, 2019 surrounded by his loving family. He was born August 31st, 1930 in Elizabeth, NJ. He is reunited now with his loving wife Colleen Kirk, whom he married in 1952. They moved together to Hazlet in 1960 where they raised three children. Robert honorably served our country in the National Guard and then the U.S. Army during the Korean Conflict. He owned and operated Bob Zingler and Son Building Contractors, working in the Hazlet area for many years. In retirement, he enjoyed working with the Manna House, a transitional housing program for women and their children. Robert was a Scoutmaster for his son’s troop. He always displayed his pride for America as a past commander of American Legion Post 321, and was a member of the “40 and 8” and the VFW. He enjoyed carving beautiful ducks and birds as a hobby. He was a devoted husband, father, and grandfather who worked very hard and made sacrifices throughout his life to do the best for his family. In addition to his wife Colleen, Robert is predeceased by his parents Oscar and Gladys (Roehner) Zingler, and his sister Dorothy Scheller. Robert is survived by his loving sister Jean Kashork and his wonderful children Glenn Zingler and his wife Diann, of Lakewood, Susan Santopadre, of Hazlet, Kirk Zingler and his wife Lisa, of Lakewood, and his grandchildren Christopher Zingler, and his wife Elissa, Kyle and Chad Santopadre, Devan and Julian Zingler, and Rebecca Puller Davis. Robert is also survived by his great grandchildren, Nora Zingler, Tiana Neal and her husband Ronn Neal, Matthew Puller, Arissa Puller and Bri’Leigh Woodward Davis, and a great-great grandson Ronn Neal. Robert will be sadly missed, but never forgotten. Family and friends are invited to visit Wednesday, April 10th from 4:00 to 8:00 PM at the Shore Point Funeral Home and Cremation Services, Inc., 3269 State Highway/Route 35 North, Hazlet, New Jersey 07730. A prayer service will be held during the visitation hours. In respect to Robert’s wishes, he will be privately cremated. In lieu of flowers, donations in Robert's memory can be made to the Wounded Warrior Project, www.woundedwarriorproject.org, or Susan G. Komen Breast Cancer Research, ww5.komen.org. For information, directions, or to send condolences to the family, please visit www.shorepointfh.com.